Children of divorce go through predictable responses, according to the research. Knowing these differences can help you to anticipate the impact of your marital decisions on your children. Children of Divorce: Pre-Schoolers and Younger Children…It’s All My Fault! Children of divorce under the age of 9 that tend to believe that they’re responsible for the breakup. They also tend to fantasize about their parents coming back together again, and their family life happily restored. Attachment science tells us that pre-schoolers see their parents as the center of gravity in their emotional universe. For young children to develop into healthy adults, they require focused attention, love, and security from their parents. As a result of their sense of guilt and responsibility, pre-school children tend to be clingy and more anxious. Divorced parents often notice that after the divorce, their pre-school children regress into bed-wetting, and seem to be incapable of completing simple tasks that once were easy for them. Family therapists tell us that this is often a strategy that little children employ to attract their parents to come together around the set of symptoms that the child is presenting. 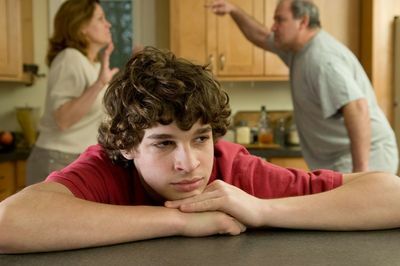 Children of Divorce: Young Adolescents and Teens… It’s All Your Fault! Children of divorce between the ages of 9 and 18 years put the responsibility where it more appropriately belongs, but they tend to have strong resentments about it. These children of divorce have a higher capacity to think for themselves and are more independent. They often feel betrayed and let down by their divorcing parents. They think that they can’t trust their parents to put their needs ahead of their own and a sense of growing mistrust enters the relationship. These are the children who come to believe that their best way of coping is to focus on taking care of themselves because that’s what the parents are modeling. Typically, young boys show increased levels of aggression and disobedience, while girls will become more withdrawn and prone to anxiety. Perhaps in a regressive strategy, Girls of divorcing parents also tend to become sexually active earlier than their peers. “You want a problem? I’ll show you a problem!” seems to be their defiant stance. Children of divorce between 9 and 18 report feeling increased levels of stress, anxiety, and feeling alone and abandoned. Some also complain that they feel bitter, embarrassed, tormented and feel a significant loss of self-esteem. Their feelings might lessen as they eagerly anticipate fleeing the nest, which is often a premature launch into early adulthood. Other known effects of divorce on teens are chronic school issues stemming from behavioral problems. Bitter and angry children of divorce can become incredibly difficult to manage as they careen through their teen years. But if you want to see sparks fly, and you prioritize on your own emotional reactions over the emotional well-being of your children, have a bitter and rancorous relationship with your ex. The higher the ongoing conflict between you… the more you compound the misery and pain of your children. Judith Wallerstein was the most exceptional researcher in the field of children of divorce research. She conducted an extensive and well-designed longitudinal study. In one of the few close-up studies of its kind, Wallerstein carefully followed 131 children whose parents were divorcing over a 25 year period. The study of the children of divorce was her passion and her life’s work. What was most compelling about Wallerstein’s study was that she also studied a comparison group of children from the same communities whose parents did not divorce. This study showed how divorce impacts the thinking and emotional life of children of divorce, creating more tentative interior models of relationship compared with similar children who grew up with the benefit of intact families. Despite the best intentions, kids and divorce are difficult to handle with skill. Her careful work tells us that the most significant negative impact of divorce echoes through time, 15 to 25 years into the future. Only about 45 percent of children are relatively unimpacted after the divorce. Over 40% are struggling. They are anxious, worried, frustrated, critical, and doing poorly in school. Half of the divorced mothers and 30 percent of divorced dads were still rageful toward their former partner. Most children said they had no idea how intimacy between a couple should work. Less is less. Divorced parents offer their kids less sensitivity, less time, and less discipline. Divorce, like physical illness, encourages a narcissistic self-involvement, even in the best of parents. Many parents are unable to form healthy boundaries with their kids. They share far too much of their personal lives with them. 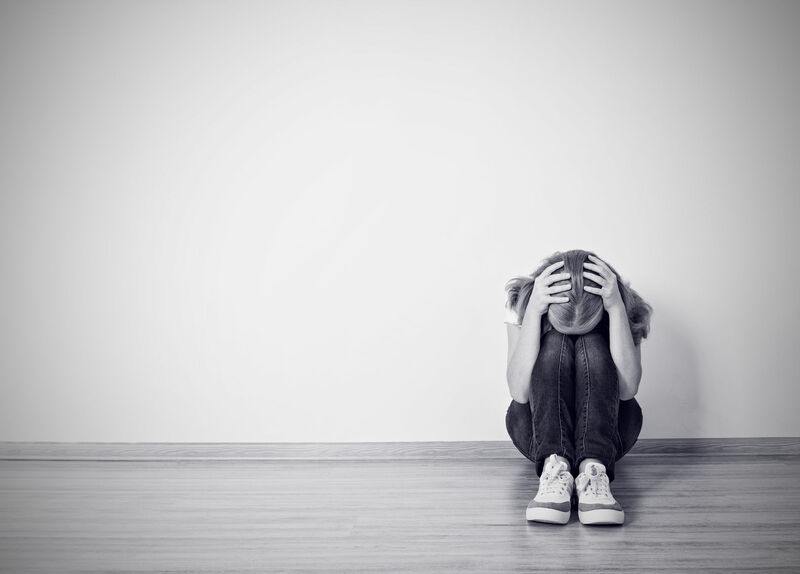 These kids become emotionally activated, and more vulnerable to depression and rage. Research tells us that most divorced parents blow it. Despite their best intentions, they are often chaotic, poorly organized and utterly incapable of responsible parenting. Divorce is a major trauma, and it’s had to bring your best self forward when you’re howling in pain…but your kids need you too. As parents continue to act out, it sets up a vicious circle which shatters normal emotional development and functioning of the children. “The children of divorce tended to do well if mothers and father, regardless of remarriage, resumed parenting roles, putting differences aside, and allowing the children continuing relationships with both parents. The problem is that only a few children had these advantages. Judith Wallerstein. About 25% of children of divorce develop acute emotional problems, as compared with only 10% from intact families..
a whopping 75% of adult children of divorce express the belief that divorce is an entirely appropriate solution to being unhappily married… even if you have kids, while only 40% of adults raised in intact families agree. A family history of divorce normalizes divorce. 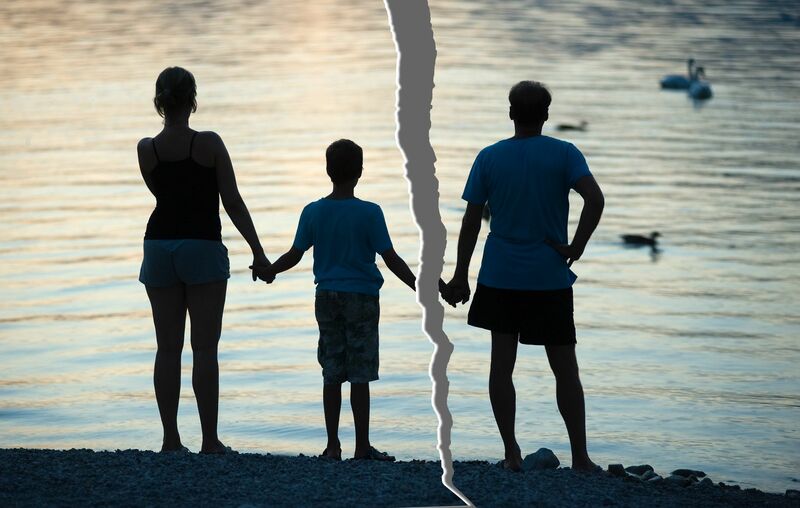 Researcher Elizabeth Marquardt conducted a fascinating piece of research that focused on what happens to children of divorce who are shuffled back and forth between two households. Marquardt led a research project involving 1,500 young adults from age 18 to 35. She split these subjects into two groups; the children of divorce, and the children of intact families. Children of divorced parents are more likely to feel torn and conflicted being shuffled between two households with often conflicting values. Parents keep poor boundaries. They were asked to keep secrets about the goings on in these different homes. Their self-preoccupied parents offered little or no moral guidance. These kids became increasingly dependent on their peer group and siblings for emotional support. Children of Divorce suffered measurably more feelings of loss, loneliness, isolation, and grief. In the late 80’s, Marquardt and Wallerstein endured a firestorm of criticism from a culture that did not want to hear this sad news about the effects of divorce on children. They supported each other in the press and declared unequivocally that many adult children never recover from the often “cataclysmic” impact divorce has on their development. Our culture loves to portray divorce a second chance for happiness for adults, but the children of divorce have a profoundly different experience. Wallerstein endorsed Marquardt and her research. “Her observations are right on target,” said Wallerstein. “These children have a sense of living in two different worlds. They grow up with difficulty in feeling whole.” They contradicted a cultural norm, comforting afflicted children and afflicting comfortable divorcing parents. A cottage industry of third-rate detractors emerged to contradict them in the media, but they had no science, only polemics. To be blunt, unnecessary divorce sets your kids up to anticipate a future failure when they eventually cross the developmental threshold into their own serious romantic attachments. Children of divorce become conflicted, tormented and gun-shy. As adults, many tend to flee commitment at the first sign of trouble. If they have kids, the same maladaptive pattern can repeat, echoing into future generations, long after your unhappy marriage is long forgotten. Are you on the edge of divorce? You can turn it around. We can teach you how to rein in negativity, and stop fighting in front of the kids. We can even teach you how to fight fair, even if your parents never showed you how. Science-based couples therapy is 70-90% effective. But it takes courage and guts to turn around a difficult situation. Ask about a “Last-Shot” Couples Retreat. Don’t Kid Yourself. Because Your Joy or Misery Will Echo Through Time. Do Something for Yourself…and for Your Kids Today.